It’s easy to see why people love porcelain veneers, like those available at Karen E. Williamson DDS PA in Rockwall. 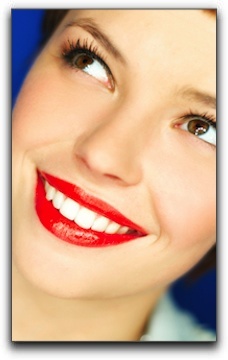 Veneers correct a multitude of flaws and deliver beautiful results. The porcelain veneer procedure is more complicated than many cosmetic dental patients realize. A veneer is an extremely thin (about .5mm or 1/64 inch) shell that is permanently attached to the front of a tooth. They are custom made for each patient, and can cover chips, cracks, and stains. They can also improve the shape, size or length of a tooth. When performing the multi-step veneer procedure, we must consider the surrounding teeth, the patient’s bite, the gums, the health of the affected teeth, and the patient’s goals and expectations. Most smiles contain varying shades of tooth enamel, further complicating the color selection process. We must also work closely with the dental lab technician who fabricates the veneers. The lab technician’s skill level and quality of materials is just as critical as the expertise of the cosmetic dentist. Porcelain veneers are among the cosmetic dentistry services we provide at Karen E. Williamson DDS PA in Rockwall. Schedule an appointment with us today.